Tony Shaw has refused to disclose his dealings with Granite Construction. Mr. Shaw claimed he owned stock in Granite Construction in 2014 & 2015, but failed to disclose in his 2016 FPPC 700 Form what the disposition was to his Granite stock. He owns property in Ukiah. The Lassen County Supervisors fired CAO Martin Nichols, in 2013, and hired the former County Treasurer Richard Egan. The Supervisors agreed to pay Egan a guaranteed two year salary of $175,000. 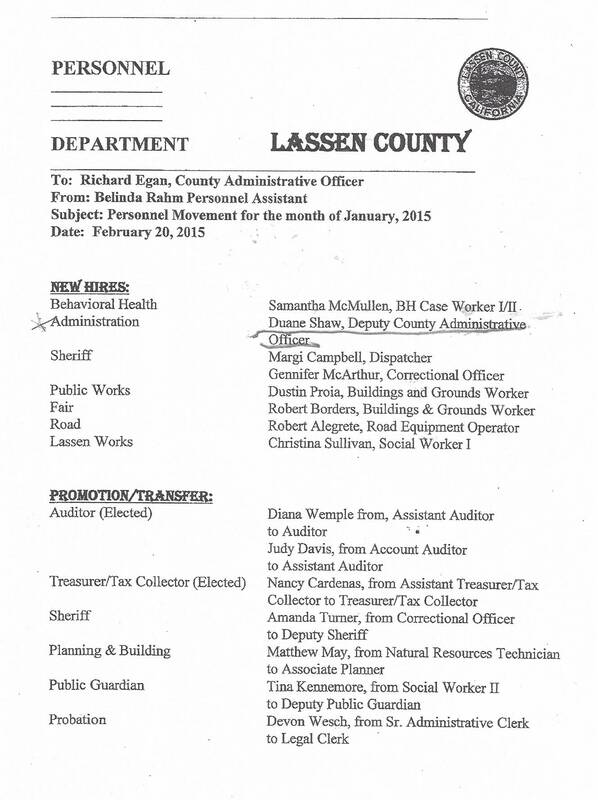 This is above any salary ever paid to a Lassen County CAO. By the middle of the year, Egan asked for help. The Supervisors approved a "DEPUTY CAO" position in their 2014/2015 Budget. Egan did not want the public to know who he was hiring, when he hired a Deputy, and how much he/she would be paid. 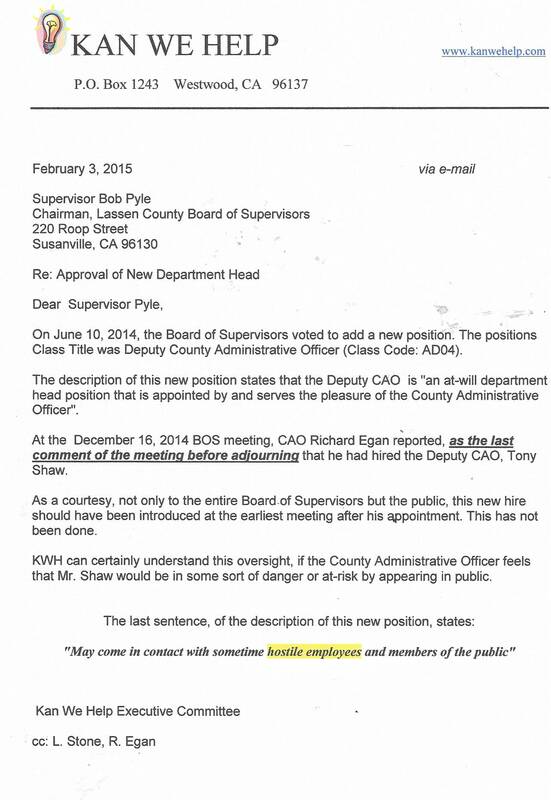 As a brief comment and the last words spoken, at the end of the December 16, 2014 BOS meeting, Egan slipped in the hiring of Tony Shaw as his "Assistant to the CAO". This was a total lie. Egan stated that Shaw was to begin work on January 5, 2015, but isn't required to live in Lassen County. 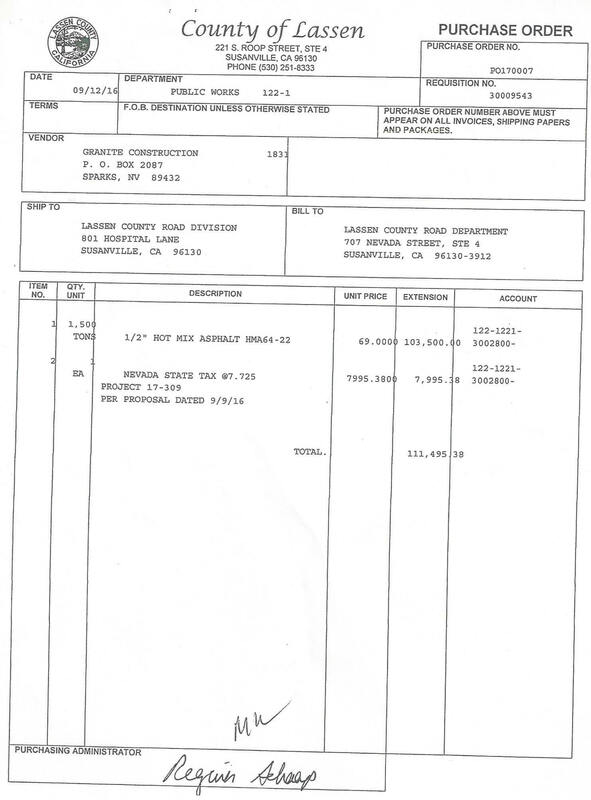 We do know that Tony Shaw worked in the "Lassen County Department of Community Development" in 2000 and was involved with the Sierra Army property transfer when Robert Sorvaag was the Director. We know that he managed the Johnstonville Public Water System that the Supervisors gave away. We know that, until recently Tony Shaw was the Community Development Manager for LACO in Ukiah. Tony Shaw was hired on January 5, 2015 and Mr. Shaw's January 3, 2015 FPPC 700 ( for yr. 2014) Form indicated that he had an investment in Granite Construction. Mr. Shaw's January 9, 2016 FPPC 700 Form ( for yr. 2015) indicated that he continued to own stock in Granite Construction. Is the real "Tony" still in Ukiah ? Mr. Shaw is employed by Lassen County and lives in Ukiah ?